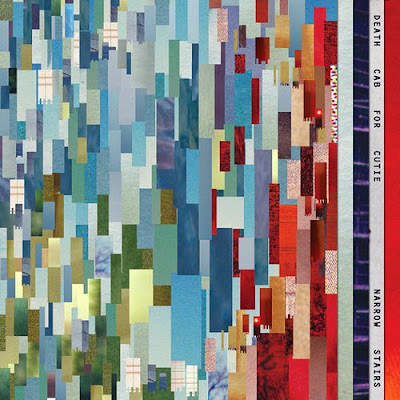 Completely unrelated, I noticed Death Cab for Cutie's newest album in Sonic Boom and was quite taken with the cover. Looks like a quilt. Pretty, huh? Definitely something for my inspiration wall. Tried out the frozen yogurt at MooBerry this evening. What's the deal with that stuff? Didn't taste like anything special to me. I don't get it. Must be my unrefined palate. Love the dress. Very pretty and you will look great in it! Did you know the Death Cab for Cutie drummer is Sheryl Harmer's son????? Just a little trivia for ya! The cover is very inspiring. the bass player, silly lisa. i remember sheryl reading show reviews from The Stranger and leaving them in the staff room. She was a proud mama. The dress is *lovely* and I'm loving that album cover. I thought it was a quilt until I read the text! And reading the comments I'm laughing because I had an English class with Nick and one of my friends asked him out.